The measuring cup is made of bonze and is handmade by the local craftsmen of India. 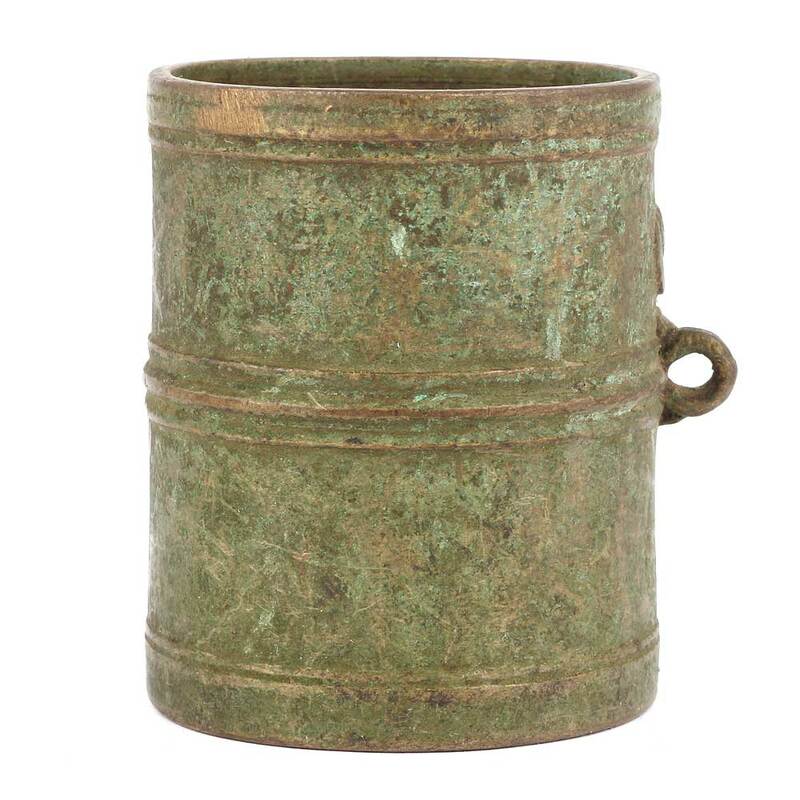 This cup is made for measurement of grains etc. 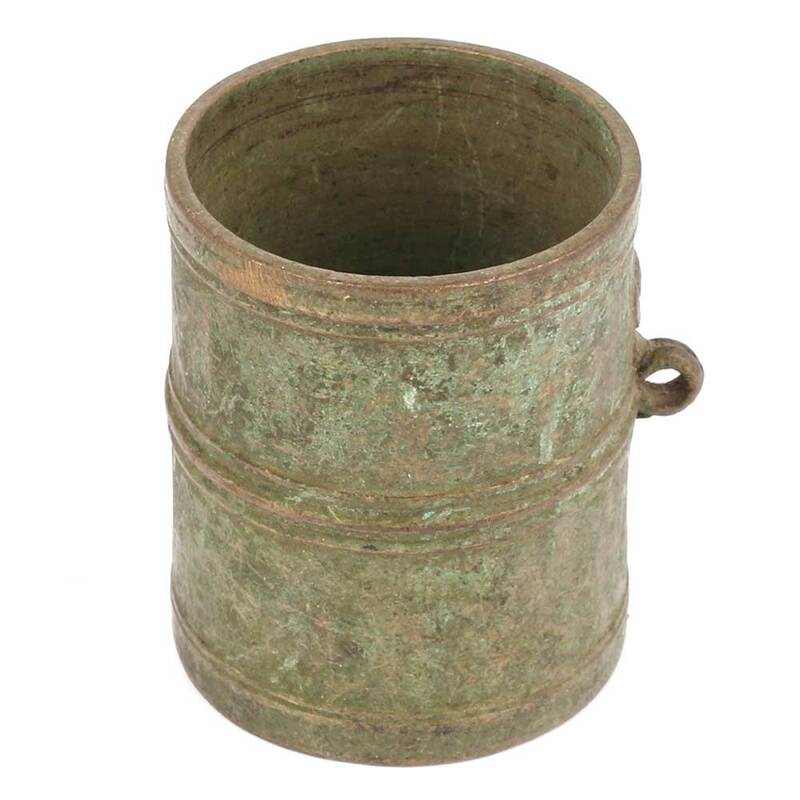 it has green patina and handle to hold it.